What’s Going On? 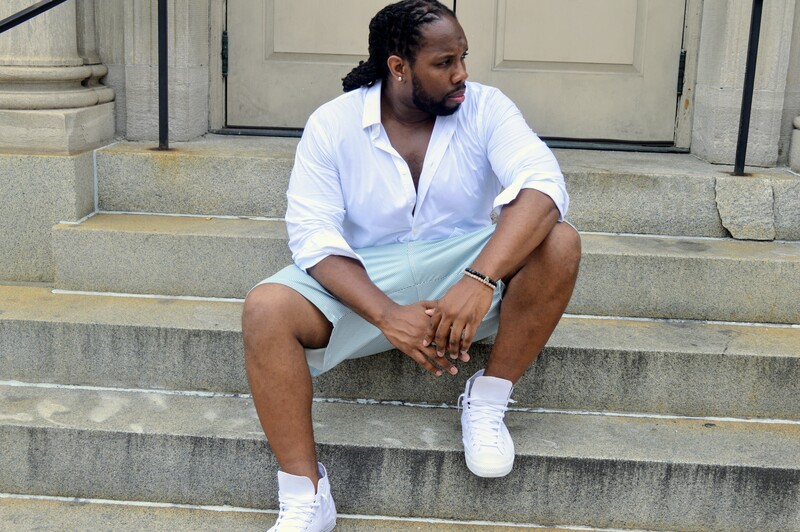 It’s The Gentlemen’s Curb a lifestyle blog where fashion meets fitness in a BIG way. I hope that your week was good. 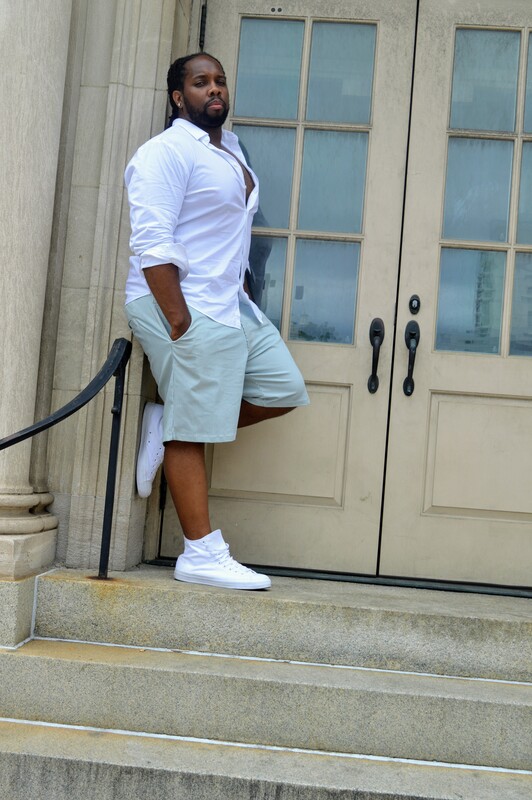 If you are unfamiliar with the blog, we cover a variety of topics for all men of size. If you consider yourself plus male, big & tall male or a brawn male; this site is the place for you. 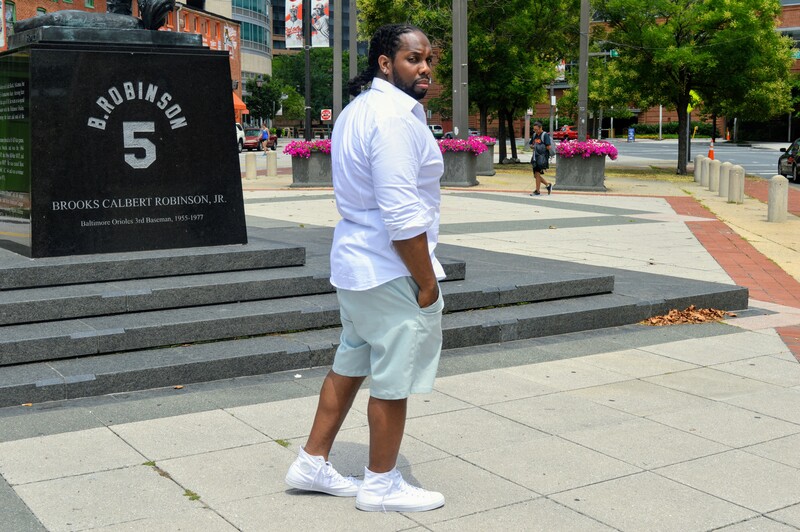 As a big and tall influencer/plus male influencer/ xl influencer, we do our absolute best to be forward and advocate for all men of size. But, back to the post! This weekend was Curves Rock Weekend. (July 19th -21st.) 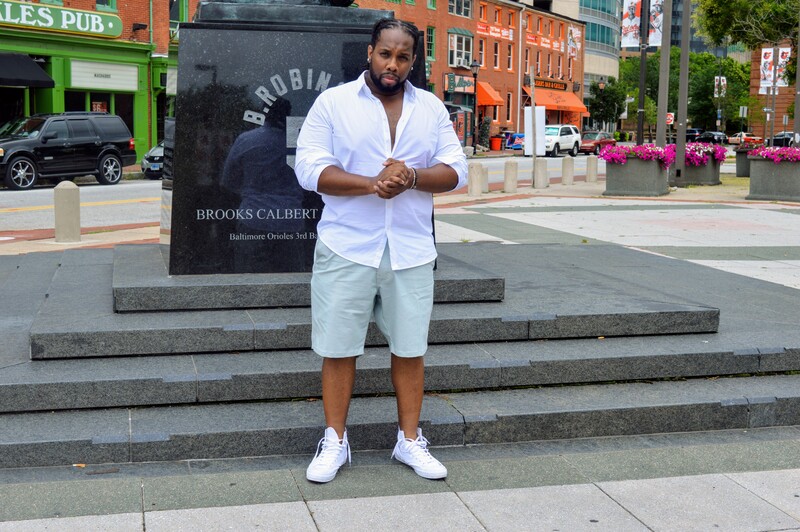 I headed down to Baltimore, Maryland for the pool party that was scheduled for July 21st. But, there was a whole lot of rain in Maryland. It looked like a tsunami ran through the state. (I saw the roof of a car lot that fell and countless cars were destroyed! I send prayers for those that were hurt and the homes that were destroyed.) The event was postponed, I was slightly disappointed, but safety is a priority. 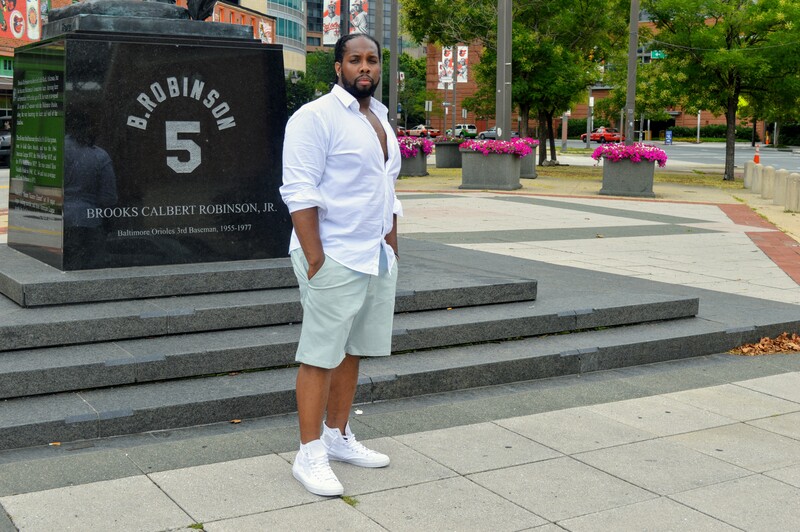 In any event, the next day after the storm, I had the privilege to shoot in the city of Baltimore! I had to bring one of my favorite brands with me. Winston Box. 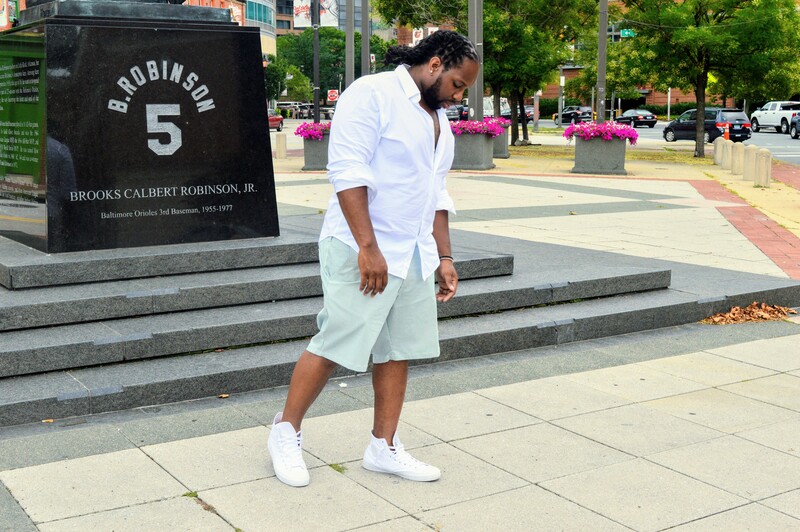 TWB provides high-quality garments for men of size delivered to your doorstep! The downtown, harbor area of Baltimore has some great scenery. So, I thought that it was appropriate to represent in a BIG way! (Check out the last post on TWB here.) TWB has been consistent in providing a variety of clothes. This months box had olive and white shorts, I was hesitant, but if you aren’t going to do it big then don’t do it at all. I paired the look with a pair of Chuck Taylor All-Stars from Converse. I had to come correct! Remember: Be Bold. Be Daring. Be Yourself. Despite the event being postponed, I had a great time in Baltimore. To be honest, I am sure that I will be back. Bmore showed me a whole lot of love. What do you think of the look? Is Baltimore a city that you would visit? Let us know via email kavah.king@gentlemenscurb.com or you can leave a comment below. Until next time, it’s the Gentlemen’s Curb a lifestyle blog where fashion meets fitness in a BIG way.